I have discovered something about myself that I was almost certain I was never going to say. 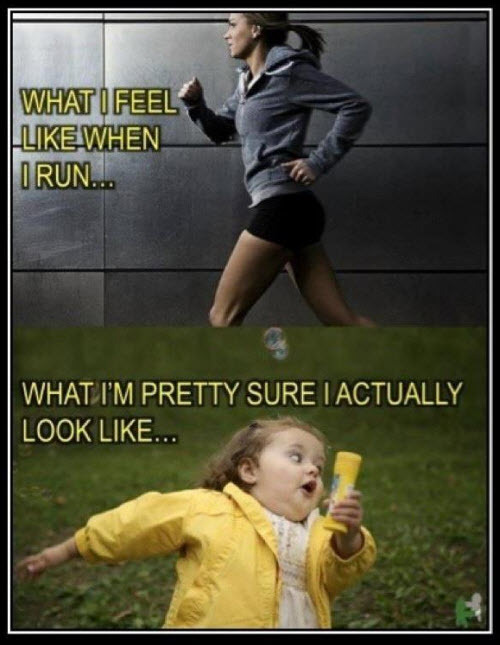 I love to run. Turns out, I am a runner. I have “complete a 5k” on my bucket list because, at the time, it seemed like a good goal for someone wanting to lose weight and get healthy, but over the months it has turned into a different reason. There is something about running that I can’t quite put my finger on. Running and I got off to a rough start. I remember when Emilia first made me run I laughed and knew I wasn’t going to last very long. I really struggled with breathing at the beginning and it took a conversation with my awesome doctor to figure out that I was trying to breathe in and out with each stride which was almost causing me to hyperventilate so the goal became to inhale on one stride and exhale over 2-3 strides and guess what, running become easier. I feel like I am accomplishing something when I am running. I don’t know quite what it is, but I feel good. I feel like no one can take it away from me, it belongs to me and only me. I can feel myself as a skinner woman. I can feel the fit of my clothes changing. I can feel the difference in my body. I can feel the changes happening. I can also feel my need to put the brakes on and make it all stop. I have discovered a real love of running. I feel like I am really accomplishing something and no one can take it away from me because it is mine. I can do this, I can do this journey by continuing to believe in myself and love myself beyond all my excuses. LET’S GO RUNNING!!!! This is a post I wrote sometime ago, but it has a lot of relevance for me right now….let’s face it all the time, so it is more of a reminder for me. I would say 80% of the time I can handle all the things that life throws at me. I can find the silver lining in situations, and go to bed feeling as if what I didn’t get done today, will get done tomorrow, but there is that leftover 20% that has been sitting right behind me every time that I turn around, I call it my Little Red Worry Wagon. 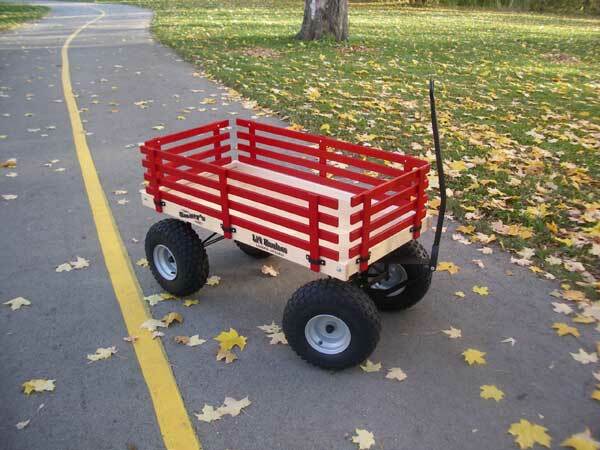 I believe that most people have one of these little red wagons and that some have a fuller wagon while the person next to them may not be pulling their wagon at all because they’ve been blessed with, what I like to call, the “free spirit gene”. I believe that the contents of your wagon changes when you get married, have kids, or maybe even make a big change in your life that we aren’t 100% certain about. But, none the less there you are pulling your little red wagon, cursing the free spirit next to you, all the while wishing, hoping and maybe even prayer that one day soon you’ll be able to leave your little red worry wagon at home. Over the last few weeks, ok well if I’m honest, few months, I feel as if my little red worry wagon has been controlling my life to a certain degree. It has defiantly been dictating the amount of sleep I get, wether I eat or not because there have been times over the last few months that I feel as if my little red wagon has turned into a big ol’ flatbed truck. I worry about my health, I worry about my job, my Mumma, my brother, my nieces, my Father, my Grandma, money, friends, you name it I probably have it packed on my flatbed . Now yes, I have done lots of reading, self-improvement work and intellectually I know that worrying about things only gets me more worry and that I should focus on the things that I can control and forget about the things that I can’t control. For some reason though, that doesn’t seem to help because emotionally it’s all I know how to do, worry. The point I’ve gotten to, is that I’m tired. I’m tired of always worrying, wondering, thinking, but most of all I’m tired of pulling my little red wagon. I don’t want to pull it anymore, or I only want to pull it when it is really necessary. I want to channel and uncover my free spirit gene. I believe that all of us have that in us and it’s just a matter of finding it and putting it to use. Worrying about things can drive a person insane, trust me there have been a couple times over the last month that I thought for certain I either needed to be medicated or put in a white jacket and forced to hug myself till the men in lab coats told me I was ok to interact with the public. What I’m getting though is that it is a choice; everything in life is a choice. I choose each day to pick up the handle of my wagon and pull it around. So, if I choose to pick up the handle and pull the wagon then I can also choose to put the handle down and not pull the wagon. I truly believe that everything in life happens for a reason and all you have to do is be open and take life as it comes, good, bad, ugly, pretty and all the stuff in between. So for right now, I’m putting down the handle to my little red wagon and I encourage you to do the same and although you may pick it back up in a minute or a day don’t worry about it, just remember you choose to pick up the handle so you can choose to put it down.